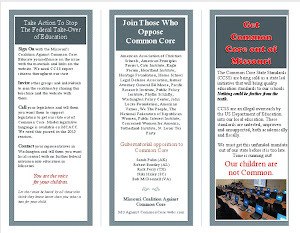 Missouri Education Watchdog: Will the Common Core Lobby Bully the Left as it Has Bullied the Right? Will the Common Core Lobby Bully the Left as it Has Bullied the Right? The left and the right are combining forces in opposing Common Core. The pro-Common Core lobby is surrounded by all sides. Ohanian Comment: Most media position opposition to the Common Core as a Teapot phenomenon. I'm hardly a Teapartier. Stephen Krashen is hardly a Teapartier. Sam Smith of Progressive Review is hardly a Teapartier. And so on. Much conservative opposition is informed by solid research. And progressive research shows the same thing. Michigan Rep. Tom McMillin (R-Rochester Hills) has asked Achieve, Inc. "repeatedly" to see the minutes or other records of meetings where the content standards were developed. This should be the rallying cry of both conservatives and progressives: Show us the meat! Show us how these standards were developed. I want to know who chose David Coleman and gave him the crown. More and more folks from both sides of the aisle want to know why the American educational system has been taken over by public/private partnerships. Ohanian makes a simple request: show us how the standards were developed. And just how (and why) did David Coleman become the kingmaker of standards when his teaching experience was tutoring students one summer? What isn't as well publicized is the fact that many liberals object to the Common Core, too. A good friend of mine, an Obama supporter whom I would describe as center-left -- that is, not exactly a Tea Partier -- and who is vehemently opposed to the Common Core, was kind enough to share with me some of his objections and consent to my quoting him here. The first problem with the Common Core, he notes, is that it's "corporatist, not capitalist ... driven more by perceived Chamber of Commerce needs than student needs. While a good education may prepare a student for a good job, career training should not be the primary purpose of public schools." Second, "the Common Core is a top-down initiative developed at the federal level and 'incentivized' on states without extensive feedback from states or their citizens." Third, "the Common Core does not reflect any consensus on the part of teachers." Fourth, "the Common Core takes the emphasis away from reading literature and shifts it onto reading pamphlets and government documents, which presumably train workers better." Fifth, "the Common Core has not been field tested. Many states have adopted the Common Core without even knowing exactly what it is, aside from some clever packaging." 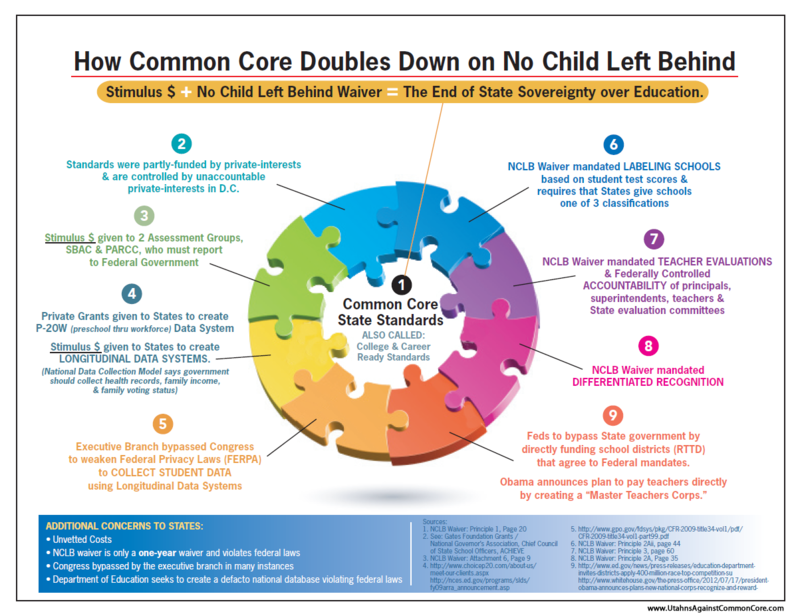 Finally, he says, "the Common Core is No Child Left Behind on steroids," adopting "the worst high-stakes testing elements of NCLB ... despite spotty evidence at best that NCLB has succeeded." So if both conservatives and liberals think the Common Core is a bad idea, who exactly is pushing it? That's a question well worth asking, one that all of us, left and right, should keep in mind next time we go to the ballot box. What derogatory words/phrases are you going to use for the liberals who disagree with your corporate takeover of education? You've tried to marginalize those on the right who don't like Common Core. You might have quite a handful with those on the left who are beginning to question a nationalized education reform plan. Will the pro-Common Core lobby bully the left as it has bullied the right? The Common Core proponents are now being questioned by people who are demanding the elitists "give a s**t" and provide answers about how tax dollars are being spent, how teachers are evaluated and what/how students are learning. Americans on both the left and the right can only be bullied so much. What David Coleman said in that speech encapsulates what the pro-Common Core lobby and politicians supporting CCSS think about the average American. CCSS supporters have employed bullying tactics in the adoption of the standards, then to the implementation, and when responding to critics. How will the Common Core bullies respond to an increasingly diverse group of people clamoring for them to go home and to leave us alone? The ed reformers began by bullying the left and successfully so from the beginning. The persistent line for any and all opposition was that it came from those who wanted to keep the status quo, and a persistent bad teacher and anti-teacher union narrative that dominated and excluded any analysis on the entire initiative. I recall when the D.C. cheating scandal broke, Rhee's response that the "enemies of reform" were behind the criticism -- a comment she quickly apologized for. This narrative was so successful and so widely embraced, it excluded the most obvious and basic questions...costs and implementation. Eventually, those details that legislators and policy makers can no longer ignore or pretend are not concerns are out in the light. 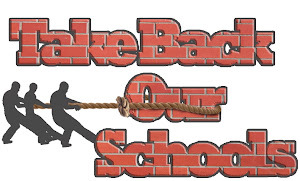 Ed reformers have nothing left except to attempt to instill fear -- if you oppose you are on the "other side." However, when it comes education reform, parents, community members, and taxpayers oppose classrooms turned into centers of test preparation instead of centers of learning and oppose an expensive experiment that they have no say in. Ideology is not a factor. Postus is Pushing it! He introduced common core to alighn the United States with his United Nations agenda.